This is pretty cool. 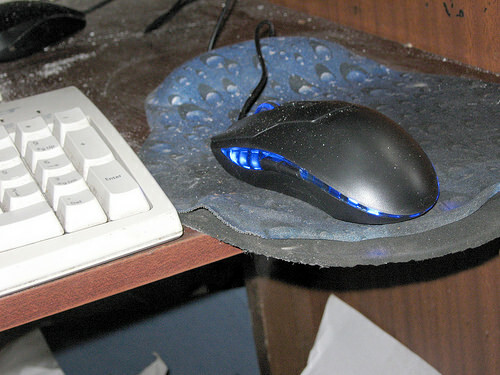 Nobody ever thinks to get a good mouse do they? I play counterstrike online sometimes and am rubbish at it. It is very sensitive and a slight movement moves it totally off screen. It does take some getting used to if you use a normal crappy mouse. They cost less than £5 on ebay delivered to your door. It works on win 7 but I havent tested all the buttons fully yet. It isnt an ultra gaming mouse but is good for the price I reckon and a huge improvement over a standard mouse. The dust on it is ash I’m a smoker. A wired mouse is proven to be a lot faster than a wireless one.